If you are BenQ product’s fan and are waiting for a new MID (Mobile Internet Device) as your business companion, now this could be a good option for you. Named as S6, it is a new MID being designed dedicated for professionals that doesn’t want to carry a bulky unit but emphasize more on presentable outlook with ability to handle daily office applications while able to stay connected while on the move. The S6 MID will be powered by Intel Atom processor clocking at 800MHz. Further backup by 512MB DDR2 memory RAM and a 2GB SSD (Solid State Device),it is built with a small 4.8-inch WVGA TFT touch panel with 800 X 480 resolutions. Although the hardware specification doesn’t look very attractive but it is at least more than sufficient for basic office applications. More importantly, the device has been enhanced with various wireless technologies such as 802.11b/g, Bluetooth and even 3,5G cellular network for seamless connectivity. Other hardware ports include mini USB 2.0 host port as well as a Micro SD card slot for memory storage expansion. 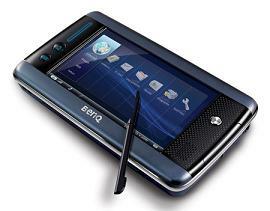 No pricing information yet, the portable system will be preloaded with Windows XP and wil reach market space soon.